It seems over the last few years there have been quite few disasters in Rural America and, despite widespread devastation and loss of life, there hasn’t been many national emergencies declared or national coverage given to any of the rural states in America. Right now, Nebraska is dealing with devastating flooding after a record breaking blizzard. Out here, we have to take matters into our own hands. I’ve been sharing, my friends have been sharing, we’re trying to get the word out but unfortunately it may not be enough. Urban stations and national media don’t feel like this warrants any coverage. However my guest today is looking to change that and I think you’re going to love her interview. 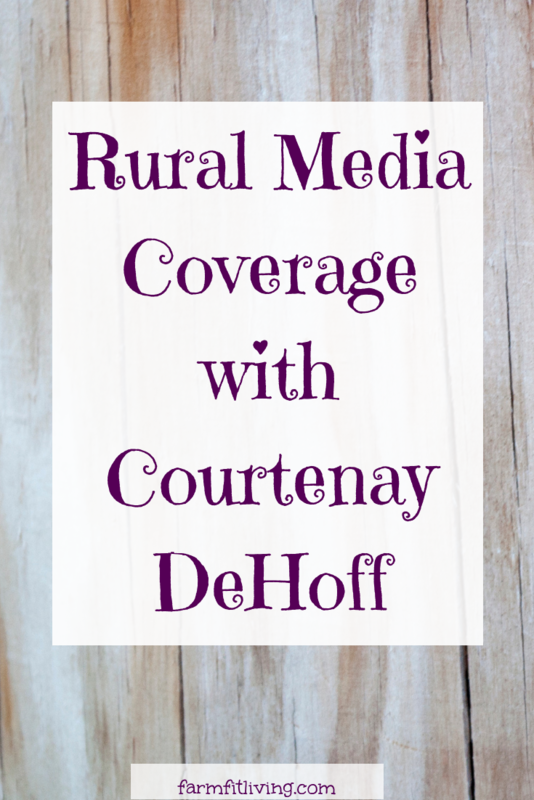 Courtenay DeHoff is a Kansas Cowgirl at heart who actually grew up about an hour south of where I live now. She grew up rodeoing and showing cattle before she eventually turned to TV. She now lives in Dallas and definitely knows the struggled of working for a TV station that doesn’t understand the need for rural coverage. In this particular interview we share her story about the fires that happened a couple years ago in Kansas, Oklahoma, and Texas. She brought the disaster to the attention of her news station and they didn’t see it as “big enough” to cover. Courtenay actually took matters into her own hands and developed videos that she shared on social media. The videos, and Courtenay, went viral overnight. I remember watching those videos and thinking how much of an impact Courtenay made with them. She came at it from an angle of how we would all have consequences due to the fires. Her mission is so important and I’m so excited to share it with you here. Courtenay went to Oklahoma State where she majored in Agricultural Communications where she fell into TV, interning at a TV station there she became hooked and has been in television ever since. She has been based in Dallas as a host, getting up at 3 AM everyday, but she’s going to be relocating to New York to work there for a bit. She enjoys the lifestyle entertainment side of TV rather than being an anchor who reports the news. She wanted to tell the “good stories.” The ones she grew up living in rural america. Finding herself burnt out with the constant stream of negativity she set out to share the stories of Rural America herself. Although you won’t find her living a rural lifestyle right now, she visits her parents as often as she can. Courtenay was working in Dallas at the time of the devastating fires of the midwest and she brought the story to her producers. She knew that no one in New York would be covering it and she felt she really had an edge and that her producers were going to love her. So she pitched the story, even framing it from the perspective of how the modern consumer would be affected by higher prices in the store because of the widespread devastation. She was angry and knew she needed to do something. She didn’t have the power to go onto the station and talk about what she wanted but she did have the ability to share it on her social media. So she stayed after work that day and she pulled media clips from the smaller outlets covering the story and wrote what was on heart. She posted it to her Facebook page and went to bed. The next morning she woke up and had 1.2 million views. Of course her producers were all over it then and she did get to use the station’s platform to spread the word and do interviews with the Kansas Livestock Association as well as a cattle farmer in Texas who was loading up hay and supplies and sending them north. What that viral reaction did was show Courtenay just how underserved a large demographic of the US is and she knew she wanted to do what she could to change that. As she read through the comments there were people from her hometown, in the same state as these fires and they had no idea it was happening! Therefore Courtenay DeHoff TV was born! As she has navigated television and media platforms they are still not convinced that the stories she wants to tell are worth telling. She’s proven that they’re worth telling but trying to monetize it is a different story and that’s the name of the game. Television, anything really, is all about making money. Even after her video on the fires went viral her producers came to her and still didn’t understand how it affected mainstream America. Courtenay answered with “did you eat breakfast this morning?” As she’s navigated mainstream America’s perception, or lack thereof, of Rural America she’s seen time and time again that the general population doesn’t understand where their food comes from. Therefore they don’t understand how they’re affected by these disasters. So she’s now taking the time to help educate them while giving Rural America the attention and coverage it needs and deserves. “Seize every opportunity that you can to politely educate someone.” When you see someone at the grocery staring blankly at the different meats, offer assistance. When you see something on social media that isn’t factual, chime in. The key to this though is to do it respectfully. The minute you degrade someone or their education you’re not going to reach them. Invite someone out to your ranch, let them see and experience firsthand what it’s like. People are genuinely interested, which surprised her when she first started sharing these stories. Whenever she’s asked about what she does her answer is “I’m a cowgirl turned television host.” Every time she says that they’re always intrigued about the cowgirl part. Asking about riding horses, raising cattle, etc. So she always makes it a point to take that moment and educate them as much as she can. This has been challenging over the last ten years. Having a 3am alarm for a 4am call time and spending a lot of time traveling, it has been really tough to take care of herself. However, as she nears 30 she’s understanding that she can’t eat like she used to. Before she would grab Starbucks each time she was waiting for a flight but now she packs her own snacks when on the go and works out as much as she can. When she needs to take a mental health breaks she always heads outside for some fresh air. She’s made it part of her every day routine to have at least 30 minutes outside to decompress. Her number one book recommendation is “Know Your Value,” and a good devotional. She makes time each day to read a page or two in the devotional she’s reading and she feels like it’s always applicable to whatever she has going on in her life. Her #1 tip? Be yourself. Be true to who you are. She believes wholeheartedly that the Ruralites, you and me, are some of the best people on Earth. And you guys, this Kansas Cowgirl has traveled all over the world. Anything is possible. You CAN live and work the way you want to WITHOUT the worry, fear, and overwhelm. I help you to cultivate purpose and fulfillment in your Rural Life by sharing real highlights, struggles, tips and tricks to problems and solutions you might be facing that is keeping you from living your best life. The Midwest is experiencing devastating flooding. There are entire farms, ranches, and homes, that are completely decimated. Here’s how you can help the Midwest Flood Victims. 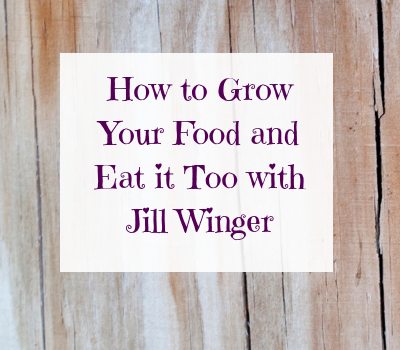 Copyright © 2019 · Farm Fit Living · All Rights Reserved.